Buy works – Lomakin Oleg Leonidovich | (born in 1924 in Tver region - 2010). Lomakin Oleg Leonidovich (born in 1924 in Tver region - 2010). Honoured Artist of Russia (1981). 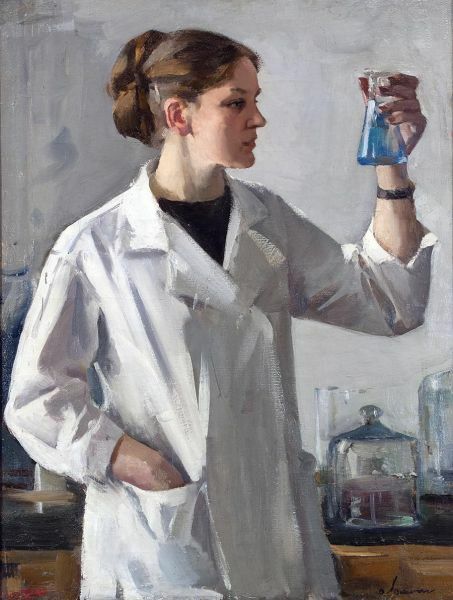 Oleg Lomakin studied at the Repin Institute of Painting, Sculpture, and Architecture, where B. Ioganson was his teacher. 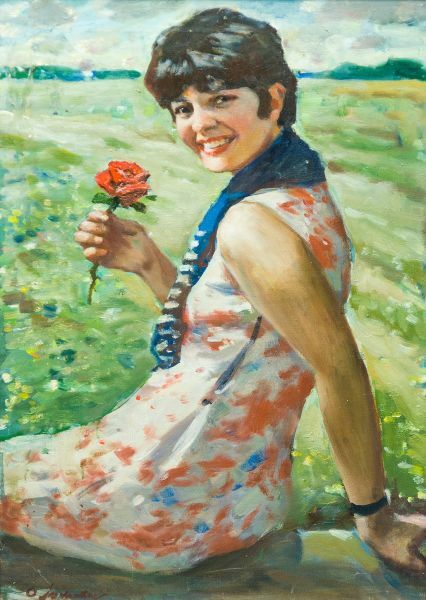 Before graduating in 1952 he exhibited from 1949 on and repeatedly participated in exhibitions of Leningrad painters since 1952 when he joined the Leningrad branch of the Artists’ Union. Lomakin was among the leading Leningrad artists of 1950s and 1960s. His works include portraits, genre and historic compositions and landscapes. They are in the State Russian Museum as well as in art galleries and private collections in Russia, USA, France and Italy. The girl with the rose. 75000 - 100000 rub. 75000 - 100000 rub. 80000 - 105000 rub. 80000 - 105000 rub. Year: The 2nd half of the 20th century. 70000 - 80000 rub. 70000 - 80000 rub. 140000 - 250000 rub. 140000 - 250000 rub. Dancer against the background of Mirror. 50000 - 100000 rub. 50000 - 100000 rub.